Posted on 30th November 2018 at 5:10 pm. 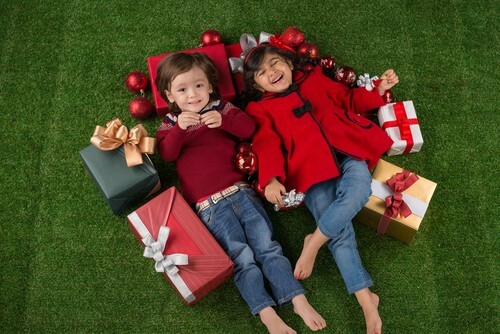 For many people at this time of the year, it’s a race to get hold of this year’s Christmas ‘must-haves’. We are all bombarded with TV ads attempting to get us to part with our hard-earned cash in exchange for the latest fads. However, maybe this year it is time to do things a little bit differently. Rather than wasting your money on presents that, let’s face it, many of us don’t use very much once the Christmas period is over, why not spend it on something that you’ll use for many years to come, instead? Installing artificial grass in your garden is a fantastic investment and certainly not a waste of money. You’ll be able to use your lawn all year long without worrying about destroying its lush green looks. In our latest blog post, we’ve put together a list of 5 reasons to buy artificial grass this Christmas. Without further ado, let’s jump in with our first reason. Well, ‘life’ may be a bit of an exaggeration, but an artificial lawn can last for 20 years. And, unlike most Christmas gifts, choosing to convert your lawn into artificial grass means buying something that you’ll find yourself using and benefitting from for many years to come. This makes installing an artificial lawn a fantastic investment. Of course, there is the initial cost of installing fake turf to consider, but this is often recouped in terms of additional value added to your property. Artificial lawns are something that appeal to many homebuyers, so if you do decide to sell up at some point in the near future, you’ll find it much easier to sell your property and be able to demand a higher price, too. One of the major advantages of having an artificial lawn is that there’s no mud or mess. This means that you can still use your lawn during the winter months, something that is out of the question for anyone with a real lawn, which is at risk of permanent damage and so out of bounds. Christmas is a great time to get together with friends and family; however, we all know that having a house full of guests can make the indoors become stuffy. So why not get out into the garden on Christmas day to get some fresh air and help the kids burn off some of that excess energy, too? They can use any outdoor play equipment that they have been given for Christmas and you could even host a family football match. Artificial grass requires very little maintenance. All it typically needs is the occasional brushing to remove debris and help to reinvigorate the fibres. Leaves and other organic matter should be removed from the turf, too. But, of course, you’ll no longer be needing the lawnmower! So why not give it to someone else as a Christmas present? Alternatively, you could sell it to raise a bit of extra cash this Christmas. Extra cash is always needed at this time of the year. Let’s face it, decent lawnmowers cost hundreds of pounds. Perhaps you’re waiting for the January sales so you can purchase a new one at a knock-down price. If you choose to install artificial grass, you could spend your money on things for yourself when the January sales come around, rather than on a dull old lawnmower. What’s more, with an artificial lawn, you’ll save yourself hours and hours of garden maintenance work, too. If your New Year’s resolution is to improve your garden, then why not start early and install an artificial lawn this Christmas? Many gardens with real lawns can quickly get out of control if you don’t keep on top of them. 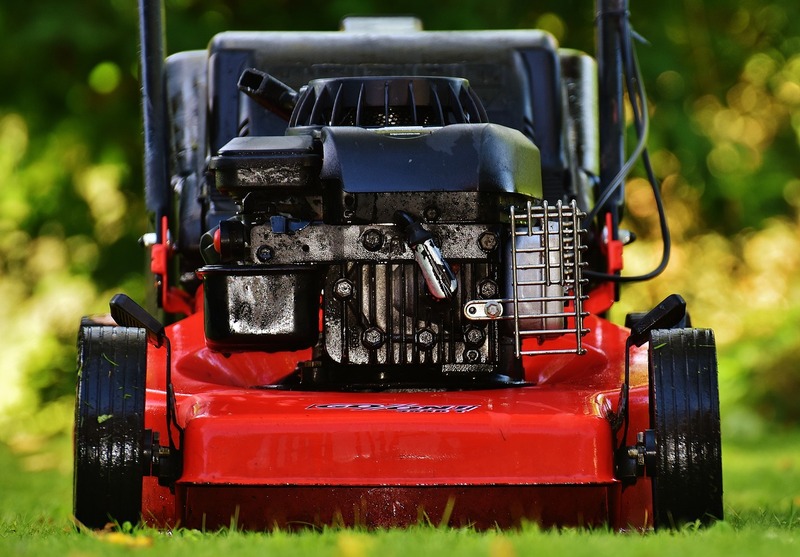 Without regular mowing, and given the right conditions, grass can grow extremely quickly and, before you know it, your garden ends up looking more like a jungle. Couple this with incessant weeds and it’s easy to see how our gardens can get out of control if we don’t have the time to keep on top of things. Or you may find yourself in the position where you’ve tried everything known to man in an attempt to get your grass to grow, all to no avail. 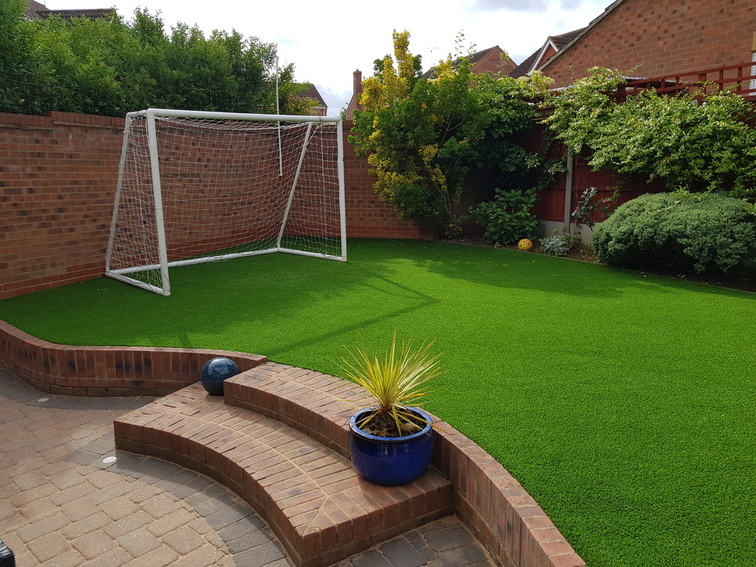 Artificial grass can transform any garden and, of course, it will look exactly the same the whole year round, whilst demanding very little time of your precious spare time for maintenance. Installing a fake lawn will go a long way towards achieving the garden of your dreams, so rather than waiting until next year, start your New Year’s resolution early! Unfortunately, pets and real grass don’t mix too well. The continuous use your lawn will receive from your dogs and other pets will gradually damage the grass, leaving you with patchy turf, at best. And, if your dog likes to dig, you’ll know how frustrating it can be continuously having to fill in the potholes your canine keeps creating. Scorched turf, caused by urine, is another problem many dog owners have to contend with. It’s not just aesthetics you need to be concerned with, though, as muddy pawprints can be the bane of many pet owners’ lives. Continually having to wipe up muddy messes can be a frustrating experience, at best. 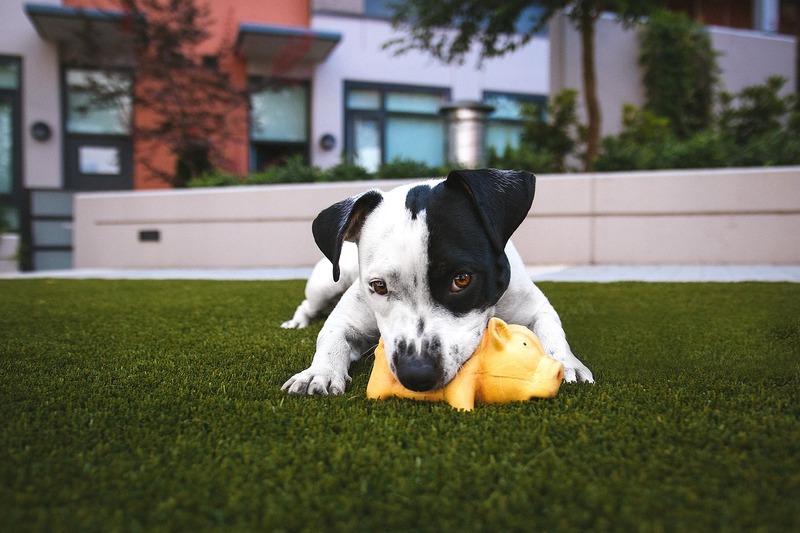 Well, if you are buying a pet this Christmas, installing artificial grass is the ideal solution, as you’ll never have to worry about these common frustrations. It’s perfect for pets because they cannot dig through it or destroy it. Urine and excrement are no problem, either, as they will not discolour or fade the turf in any way. And you can say goodbye to muck and mess in the house, as there is no mud for them to run or roll around in any more. If you are buying yourself or a family member a pet this Christmas, why not install an artificial lawn, too, to ensure your lawn stays looking lush and green? Not only will it make your life easier, but your new pet will love you for it, too. There are many reasons to get yourself an artificial lawn this Christmas, rather than wasting your money on things that, let’s face it, most of us never use once Christmas has been and gone. Installing an artificial lawn in your garden is a fantastic investment and you’ll benefit from it for many years to come. 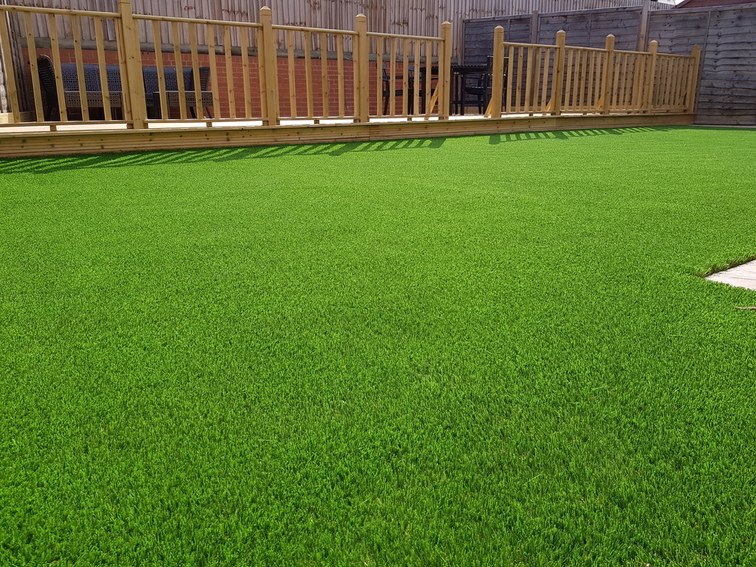 If you are considering fake grass this Christmas, then check out our range of artificial turf that’s perfect for your garden. You can also request your free samples and see for yourself just how amazingly soft and realistic our artificial turf really is. To learn how to install an artificial lawn, click here, or if you’d prefer a professional to carry out your installation, you can find your nearest NeoGrass Approved Installer by clicking here. Thanks for reading and we hope you have a very Merry Christmas.